Built upon a former sports field on the Campus of Findlay High School, Millstream Career Center provides high school students from Hancock County preparation for two- or four-year college, as well as hands on experience to enter the work force following graduation. As such, RCM Architects, along with Garmann-Miller Architects, had to design and plan Millstream as a diverse educational and working facility. Automotive repair. Agriculture. Computer Networking. Engineering. Cosmetology. Culinary Arts. Welding. These are just a few of the many different trades and disciplines that needed their own spaces within the same classroom building. The resulting LEED Silver Accredited building is just want the School District wanted. The main entry features a two-story atrium, providing natural daylight to the lobby and gathering spaces. The lobby also provides direct access for guests to the cosmetology and culinary arts areas for the latest hair fashions or tasty treats. At the rear of the building, large overhead doors and bays allow for cars, trucks, or larger vehicles to enter the building for dis-assembly and repairs. 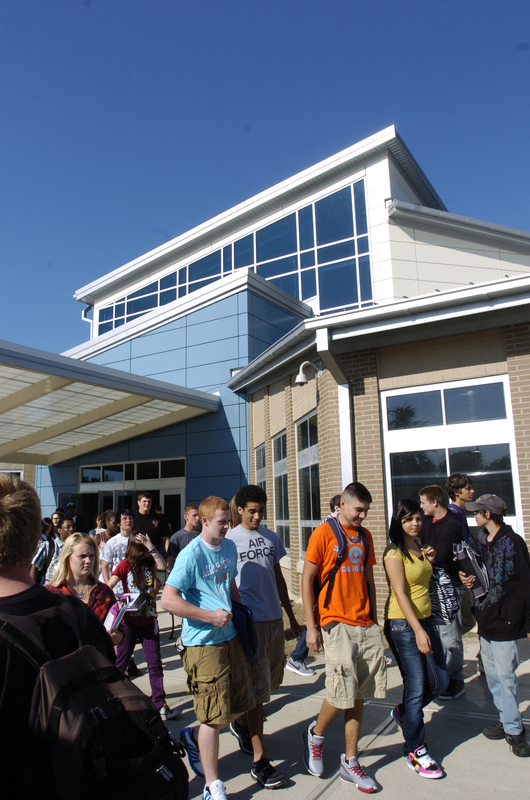 Since construction of the building, a Connector (enclosed corridor) to Findlay High School has been added, allowing students direct access to both buildings, without having to go outside.